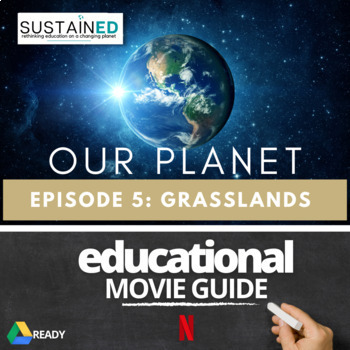 This resource from Graeme Mitchell at SustainEd complements Episode 5, From Deserts to Grasslands, of the new eight-part Netflix series Our Planet. The series is narrated by David Attenborough and was released in April 2019. 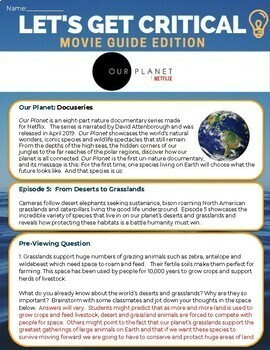 Our Planet showcases the world's natural wonders, iconic species and wildlife spectacles that still remain. From the depths of the high seas, the hidden corners of our jungles to the far reaches of the polar regions, discover how our planet is all connected. Our Planet is the first un-nature documentary, and its message is this: For the first time, one species living on Earth will choose what the future looks like. And that species is us. 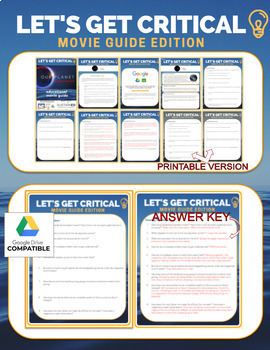 A student movie guide - Google Slides version (3 pages) that can be edited and used with Google Classroom. 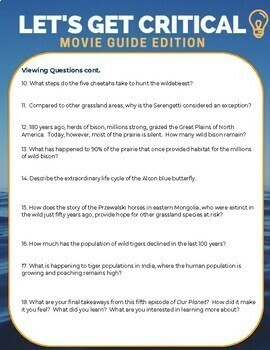 An answer key (3 pages) is included with this movie guide, however many answers will vary as students are encouraged to construct their own meaning. Give learners 5-10 minutes to complete the Pre-Viewing Questions and read the guide beforehand so that they can prepare for upcoming content. Pause at the times after questions in the guide to encourage students to debate, discuss and talk about their ideas before writing their answers. On average, this movie guide will require about 45 minutes in addition to the length of the movie. Prompt the students to share their answers out loud and use the guide to lead a discussion. Before the class is over, I often challenge my students to complete a “What, So What, Now What” Review. I have them briefly describe what the documentary was about (what), explain why the central topic was important (so what), and have them apply it to something they have been learning about in our class (now what). Get a feel for my work and see if this resource is right for you.